When many people think of Cannes, their first thought will be of the Film Festival, which indicates the popularity and impact of the event. This year, the Cannes Film Festival takes place between 8 – 19 May, running for a duration of 11 days. Celebrating all things film, the event will be the 71st Film Festival in Cannes. No other film festival has the ability to create an impact like the Cannes Film Festival can. The festival is the best showcase event for films in Europe, even though the number of films vying for attention means that the competition is fierce. Even then, the number of A-List celebrities that attend the event will usually ensure that a great deal of focus is on them and the movies that they are currently promoting. However, Cannes, along with the Venice Film Festival and Berlin International Film Festival, have helped to create a certain style and identity around Europe being the best place to find artistic movies. This means that the Cannes Film Festival combines the latest premieres from star names and a focus on the more independent and artistic films that are created on a global basis. For the vast majority of attendees at the Cannes Film festival, the main focus is to find people who can support their work, showcase it to new audiences or to find new material that their existing audience is looking to see. In this regard, the Cannes Film festival is the setting that brings together different parties from the film industry, allowing for partnerships and networks to be created around the world. The award ceremony at the event is another feature that separates it from other film festivals. The Palme d’Or is the most prestigious award presented at the Cannes Film Festival and it was first presented in 1955, when it took over from the Grand Prix du Festival International du Film. The Palme d’Or (or The Golden Palm in English) is the award that is valued above all others at the annual event. 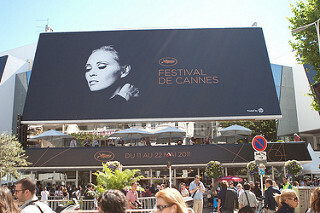 Being an invitation-only event, the Cannes Festival is one of the more significant congress dates in the calendar, with plenty of media frenzy surrounding the event and Cannes in general every May. Accommodation rental is limited, so we recommend booking accommodation for the Cannes Film Festival early. If you are looking for rental accommodation in Cannes for the Cannes Film Festival 2018, please get in touch. We have the ideal selection of apartments, located in the centre of Cannes close to the Palais des Festivals.